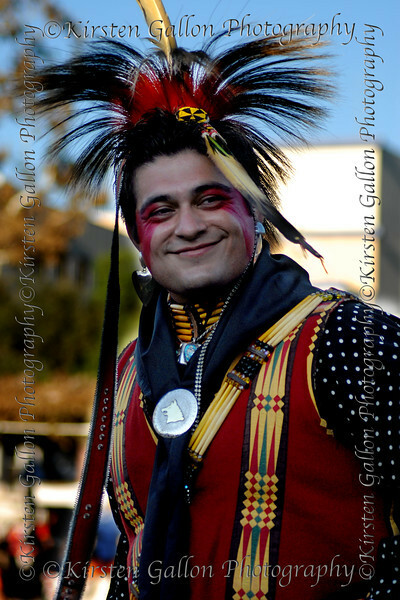 These photos are from the Sycuan Pow Wow during the weekend of September 7th,8th, and 9th, 2007. I decided to go because I knew it would be a wonderful event with lots of colorful native clothing that would be a good opportunity from a photographers perspective. There were several tribes represented and lots of contests in dance, drumming and singing. Along with being able to take some beautiful photos, I enjoyed learning more about the different cultures and how they celebrate and maintain their traditions. I was very touched by their spirituality and how important their culture, ancestory and family are to them. I feel blessed to have them share these traditions with anyone who wishes to come and watch and listen. If you ever get a chance to go and see a pow-wow in your area, I highly suggest that you do. There are lots of photos as I found it hard to just pick a few. There were so many beautiful and different styles represented from the various tribes. To see this year's photos click " A Look at San Diego and Local Events" in the upper lefthand corner of this page to find the 2008 Pow-Wow gallery. Another good pic of A.J. LeadingFox.